The airborne infantry element of 16 Air Assault Brigade.it provides the capability to deploy an infantry force at short notice, in the most demanding circumstances. As such, it is trained and ready to form the spearhead for the Army's rapid intervention capability. Watchwords are professionalism, resilience, discipline, versatility, courage and self-reliance. It is light by design, because this confers speed of reaction, and is expert at air-land deployments, by helicopter, aeroplane or parachute. Call of Duty: The Original and the Best? The airborne infantry element of 16 Air Assault Brigade.it provides the capability to deploy an infantry force at short notice, in the most demanding circumstances. 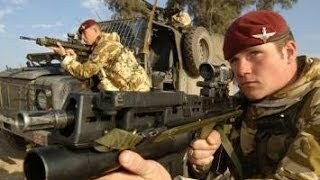 Andy McNab - SAS - What makes a Special Forces Soldier?